Although Memorial Day is approaching quickly, Mexico offers some wonderful getaways that are close enough to the border to keep your driving in Mexico to a minimum. You might head for Baja Norte’s beaches, or you could cross into the nation’s mainland as you pursue options such as Puerto Peñasco. 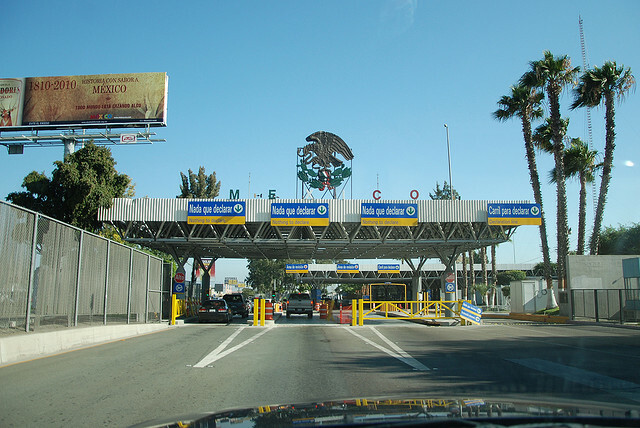 Regardless of your destination, a driving vacation requires a Mexican insurance policy. The best Mexican insurance for visitors is coverage that ensures your return across the border in case of trouble, legal support in case of a wreck, and emergency support in case of a breakdown. Realistically, driving should not be a serious difficulty in Mexico. However, you do want to be prepared for more erratic traffic in border zones. You also want to understand certain driving signals and road conditions in advance. For example, a left signal on a vehicle at an intersection is typically a clear sign of a pending turn. However, the left signal on a straight patch of highway probably means that it is safe for you to pass the car ahead of you. Be sure to verify visually before passing, and be sure that the conditions are safe for a fellow motorist before you make such a signal to motion someone else to go ahead and pass. Road signs are metric in nature when distance and velocity are referenced. This should not be difficult to assess if your vehicle is equipped with both English and metric measures on the speedometer. However, it might be helpful to brush up on your metrics if you are not accustomed to distance correlations between the two measuring systems. A miscalculation could leave you stranded without sufficient gas for your journey or could cost you some time and cash as you deal with a ticket. Pro Tip: A Mexican insurance policy can be purchased on an iPhone, so secure the best, most affordable Mexican insurance before crossing the border! If you run out of gas and have the right Mexican insurance policy, you can make a quick call to the service number and initiate a fuel delivery. Similarly, you can tap into these services with your Mexican insurance policy for dead batteries, flat tires, or serious mechanical breakdowns. The best Mexican insurance policy includes towing throughout Mexico when you are stranded. You will want to pay attention to these details in your Mexican insurance policy to ensure that bilingual interaction is available when you call for help. 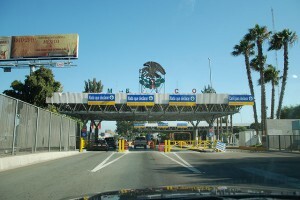 Each Mexican insurance policy for visitors from MexicanInsuranceStore.com includes Roadside Assistance throughout Mexico including bail bond at no additional cost. Always see to it that your Mexican car insurance is not expired when driving to Mexico. A minor accident can cause a big headache because of an expired policy. Keep well-informed with safety measures in Mexico. Ask for guidelines offered by your auto insurance company. You’ll be given the sensible advice based on the usual-reported situations. Next time we’ll visit Mexico, we’ll make sure we don’t miss the most visited beautiful places in Mexico. We’ve got a car to see all those nice places.